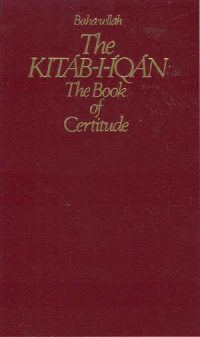 Kitab-i-Iqan The Book of Certitude Baha'u'llah's presentation of the major themes of Progressive Revelation. 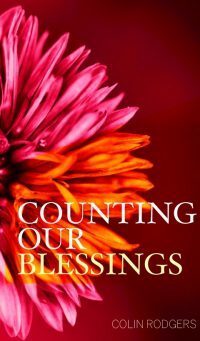 Gleanings from the Writings of Baha'u'llah This is a compilation of some of Baha'u'llah's most powerful and informative Writings, translated and compiled by the Guardian. 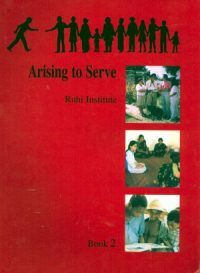 It is a favorite gift for Seekers and new Baha'is alike. Fountain of Wisdom is a collection of the writings of Baha'u'llah, the Prophet-Founder of the Baha'i Faith, in which He explains some of the "precepts and principles that lie at the very core of His Faith." 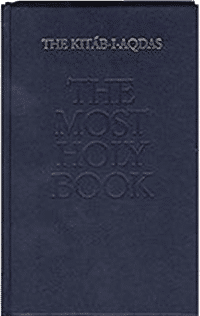 Revealed during the final years of His ministry, the sixteen tablets contained in this volume cover a wide range of topics and place emphasis on principles such as the oneness and wholeness of the human race, collective security, justice, trustworthiness, and moderation in all things. Epistle to the Son of the Wolf This is a Tablet containing Baha'u'llah's own writing anthology chosen to illustrate major themes of His revelation. 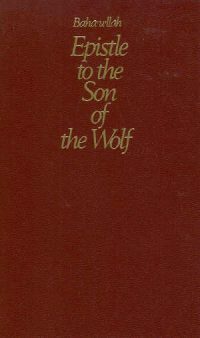 Epistle to the Son of the Wolf was revealed by Baha'u'llah about one year before His death, and though it is addressed to the son of an official, it can be found relevant to a contemporary reader as well. 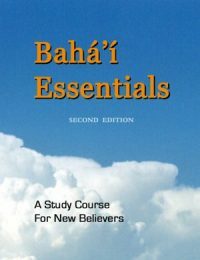 Bahai Essentials is a study class guide that includes 30 lessons of about 8 pages each covering the basic Baha'i teachings, from The Station of Baha'u'llah to The Will and Burial, with prayer, teaching, drugs, service, elections, Funds, Feasts, history, marriage, , and everything else in between. Anvil of the spirit is a fun read on how to energize your Bahai community that is written in the form of a novel. Deepening has never been easier, and community life has never been more fun. 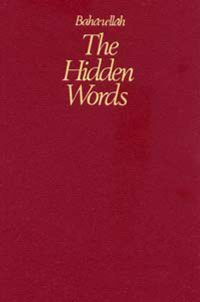 The Hidden Words, revealed by Baha'u'llah, the founder of the religion, the verses are a perfect guidebook to walking a spiritual path and drawing closer to God. They address themes such as turning to God, humility, detachment, and love, to name but a few. 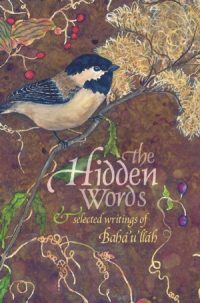 These verses are among Baha'u'llah's earliest and best known works, having been translated into more than seventy languages and read by millions worldwide. 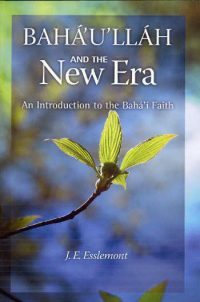 This edition will offer many readers their first introduction to the vast collection of Baha'i scripture. Here is a kid's version of our Virtues Mandala Coloring Book. 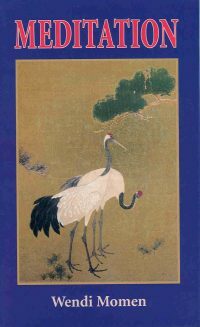 It is filled with over 100 charming illustrations that focus on words that describe virtues. It is an artistic resource to help children develop a greater awareness of the importance of the innate virtues that lie within each of them. 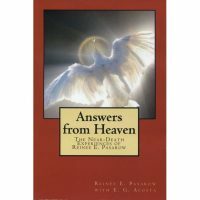 Bahai Prayers is the most recent edition of the general prayer book published by the Baha'i Publishing Trust. It uses "Bible paper" to make them slimmer and easier to carry. Daily Reflections and Stories for Children - Stories of Abdul-Bahai The Daily Reflections series is far and away the best-selling series of Baha'i books for children available, and for good reason. Beyond Tolerance For the global community to survive the current century, the adherents of the diverse religions of the world must move beyond conflict or mere tolerance and toward the realization of their essential unity. Dr. Allen McKiel offers compelling evidence of this unity through an exploration of recurring themes found in the sacred scriptures of the world's religions. 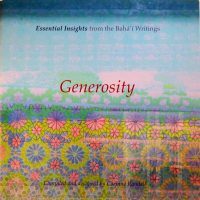 This collection of gems from the Baha'i writings is a much-loved classic that has been familiar to generations of Baha'is for over 60 years. If you want something scholarly yet modern and easy to read, this is a great choice. 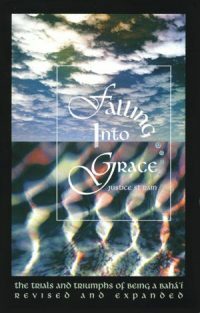 Written as a college text book by two of the best Baha'i writers around, this is what convinced my sister to become a Baha'i 20 years ago. Alzheimer's - Observations & Disclosures & Resolutions When artist Harlan Carl Scheffler's wife Barbara developed Alzheimer's disease, he determined to learn as much as possible about the condition and to understand what was happening to his life-long partner. A Bahá'í since childhood, he turned to religion as well as to science to provide insights into this physical disease of the brain. Thousands of people have been entranced by the videos describing Reinee Pasarow's Near Death Experiences. Now, for the first time, her full story has been told in print. 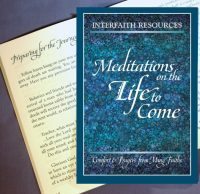 Life after death is even more difficult to explain to a child than God, but this book offers several metaphors based on the Bahá'í Writings to make death less frightening to a young heart. My dear friend Harlan Scheffler is now on the "other side," but before he moved on, he left us with his thoughts about the process of growing old and preparing to die. A gentle soul and profound thinker, you will want to read what he has to say. With luck, you will face your last days with the same grace and faith that he describes in these two essays. 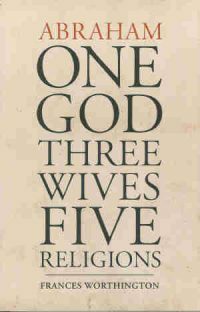 Abraham: One God, Three Wives, Five Religions is a groundbreaking examination of Abraham, one of the most beloved and significant religious figures in history. 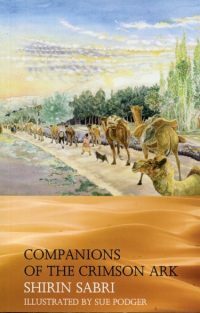 Author Frances Worthington researches the three wives/concubines (Sarah, Hagar, and Keturah) of Abraham, and traces their lineage to five different religions - Christianity, Judaism, Islam, the Babi Faith, and the Baha'i Faith. 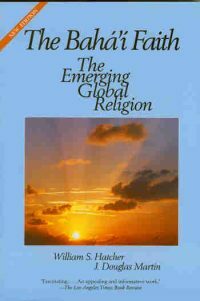 The Bahai Faith - Emerging Global Religion is great when you want something scholarly yet modern and easy to read, this is a great choice. 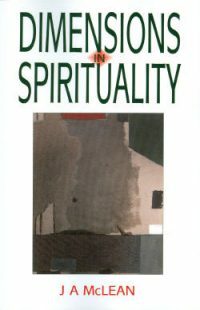 Written as a college text book by two of the best Baha'i writers around, this is what convinced my sister to become a Baha'i 20 years ago. 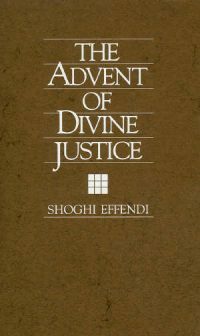 Advent of Divine Justice is probably the most read of all of the Guardian's works. It is an extended letter to the American Baha'i Community, outlining its challenges and opportunities. 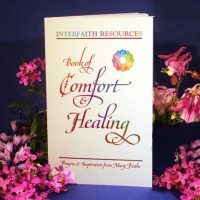 Ancient Wisdom Common Ground, An interfaith view of the spiritual journey we call life This lovely interfaith compilation, organized by topic, would make a welcome gift for any spiritually-minded friend. It is sure to end up on many nightstands for evening meditations. It is also handy for interfaith devotional meetings, for comparative religious studies, and general inspiration. 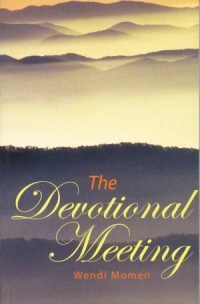 Devotional Meetings by Wendi Momen What are some of the unique characteristics of a Bahá'í devotional meeting that distinguish it from a church service, and how can we make our devotional meetings both spiritually enriching and attractive to the general public? 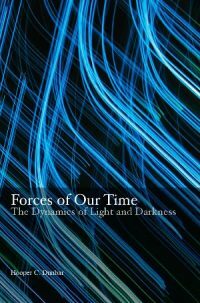 In Forces our our Time, Hooper Dunbar examines the character of the spiritual forces that are transforming the world today. 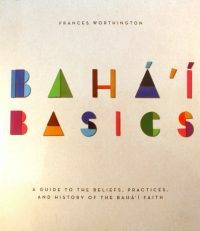 This second edition of Bahai Basics is formatted more as a "discovery" book, with square pages and double columns. The playful title font will put readers of all ages at ease and let them know that this book will be a fun exploration, not a scholarly discourse. 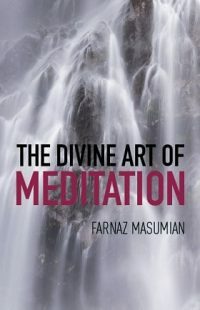 Divine Art of Meditation I'm very excited about this book. 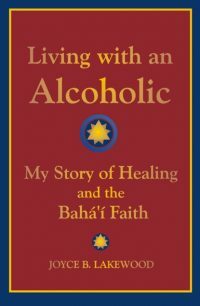 Having experienced a wide range of meditation techniques myself, I am often surprised at how little most Baha'is know about such an important subject. 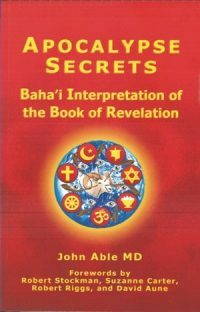 In a world in which "The End of the World" is predicted almost weekly, it would be nice to have a rational, Baha'i perspective on the Book of Revelation to help make sense of it all. 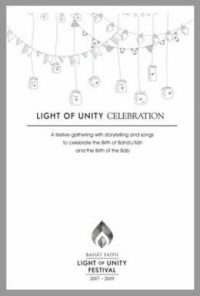 The “Light of Unity” Dinner Party Booklet is a 24-page guide that includes introductory stories, songs, prayers, discussion questions, and crafts that Bahá’ís can use to host a dinner in their home to celebrate the 200th Anniversaries of the Births of the Báb and Bahá’u’lláh. 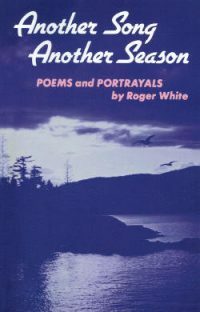 Poems and Portrayals Vivid, sympathetic portraits of martyrs, pioneers, and ordinary people: shining through is a poet's vision - fresh, unique, sometimes satirical, but never superficial. 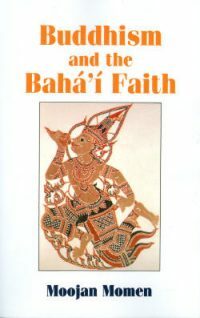 Buddhism and the Bahai Faith An introduction to the Bahá’í Faith for those of the Tharavada Buddhist tradition. Meditation by Wendi Momen Inspired and encouraged by the advice of Shoghi Effendi that, "As we have such wonderful prayers and meditations in our writings, the reading of these with friends who are interested in and crave for this type of small meeting is often a step towards attracting them to the Faith. 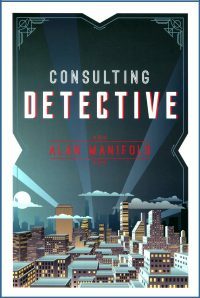 Consulting Detective It is my favorite kind of mystery novel: an intriguing who-dunit, without the gore, depravity or gruesomeness that has become so popular in modern crime fiction. This is a book you can read without cringing, and share with your family and friends. It would be a great consideration for a book club. Coral and Pearls is a great alternative to "Fortress for Well-Being" as a wedding or engagement gift. 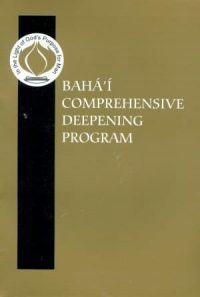 It is easier to read and is based on Baha'i principles without being overtly Baha'i. 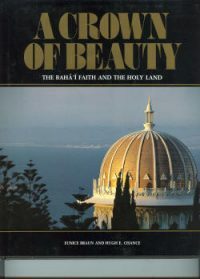 A Crown of Beauty - The Bahai Faith and the Holy Land A Crown of Beauty is a unique portrayal in words, photographs and drawings of the outstanding religious drama of our time - the rise of the Bahá'í Faith, from its birth in Persia in 1844 amid violent persecutions, to its establishment today throughout the World. 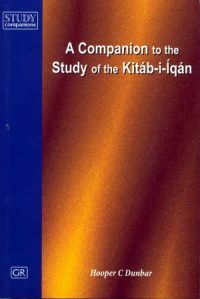 The story unfolds vividly through the lives and missions of the three central figures of the Faith - the Báb, Bahá'u'lláh and 'Abdu'l-Bahá - and the great works of its Guardian, Shoghi Effendi. Its universal principles, and its goal of a peaceful, ordered world society are also explained. Dimension in Spirituality is a presentation of the path to spirituality offered by the youngest but most promising of the world's great religions, the Bahá'í Faith. 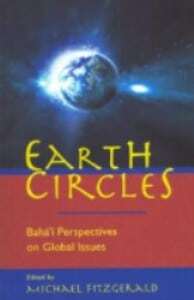 Earth Circles - Baha'i Perspectives on Global issues For over one-hundred years, the Bahá'í community has anticipated the inevitable contraction of our planet into a global neighborhood and warned of the urgent need to provide spiritual foundations for this new world order. Bahá'ís believe that the unityy of the human race is the fundamental moral principle that today must direct and govern world affairs.